Original art by Jason Snyder. Pinup – Am I In Your Chair, Captain? This illustration was created entirely in Adobe Illustrator and Photoshop. You can find a time-lapse video of its creation here. 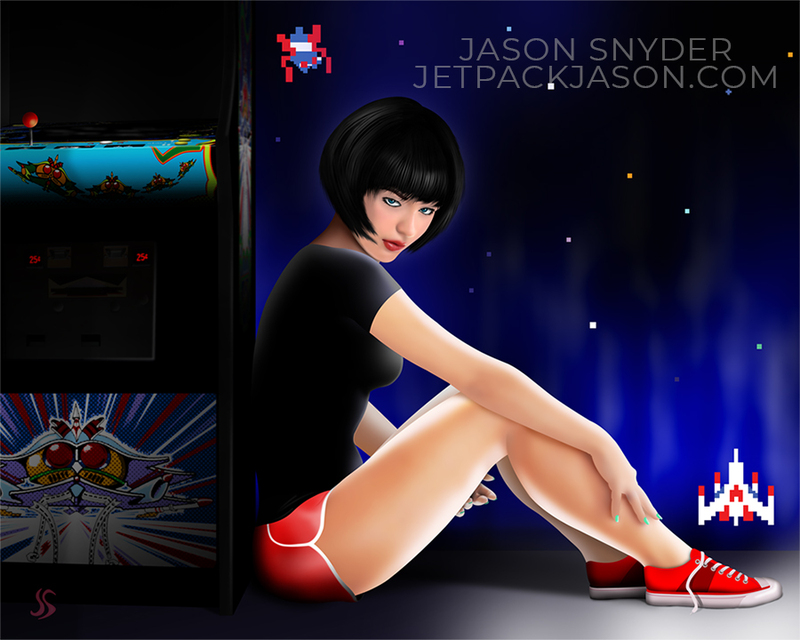 Jason Snyder http://jetpackjason.com/wp-content/uploads/jetpack_jason_logo.png Jason Snyder2012-11-17 15:45:512012-11-17 15:45:51Pinup - Am I In Your Chair, Captain? Pinup – "Eames Chair Pinup"
Here’s my latest pinup. Major mid-century modern influence here, with the Eames Chair (Eames Lounge Chair and Ottoman). I painted this entirely in Photoshop. If you’d like to purchase a print of my Eames Chair Pinup in various sizes check the Buy Jason’s Art page. Jason Snyder http://jetpackjason.com/wp-content/uploads/jetpack_jason_logo.png Jason Snyder2010-12-07 07:08:552010-12-07 07:08:55Pinup - "Eames Chair Pinup"